Eighth Street near Avenue C.
Well, well,well. 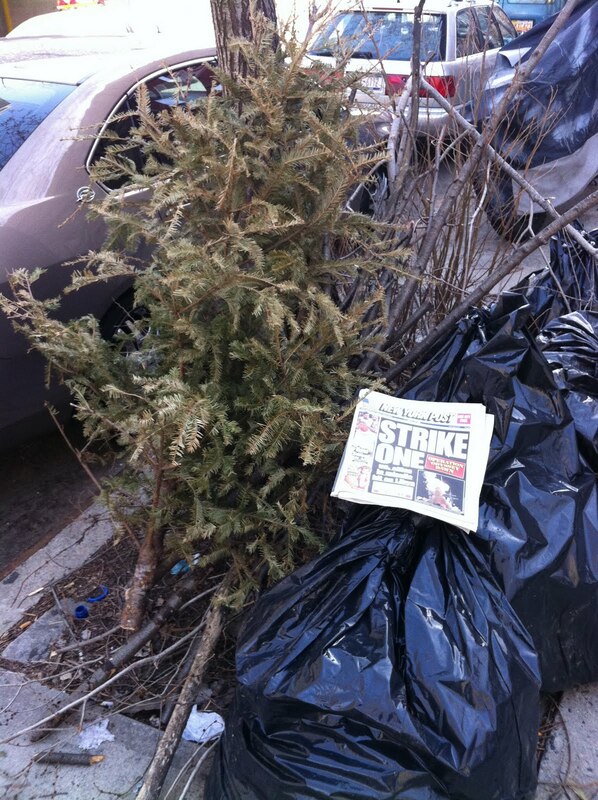 My Brooklyn tree has a rival. Let the competition continue! Oh - can we have a location for this entry, please? I'm sure there's something in the rules about that. It's Eighth Street near C! onemorefoldedsunset, I urge you to throw out your tree on December 24th. You'd be the ultimate winner! !